A haunting tale of apparitions, a cursed manor house, and two generations of women determined to discover the truth, by the author of The Ghost Writer Sell the Hall unseen; burn it to the ground and plow the earth with salt, if you will; but never live there… Constance Langton grows up in a household marked by death, her father distant, her mother in perpetual mourning for Constance’s sister, the child she lost. Desperate to coax her mother back to health, Constance takes her to a séance; perhaps she will find comfort from beyond the grave. But the meeting has tragic consequences. Constance is left alone, her only legacy a mysterious bequest that will blight her life. 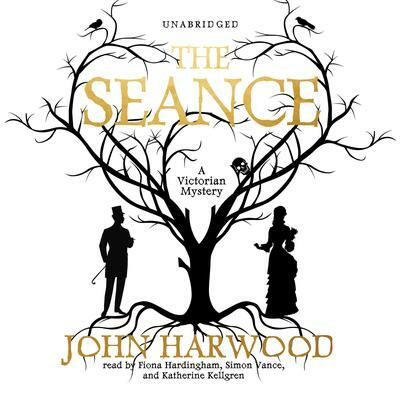 So begins this brilliant and gripping novel, a dark mystery set in late-Victorian England. It is a world of apparitions, of disappearances and unnatural phenomena, of betrayal and blackmail and black-hearted villains—and of murder. Constance’s bequest comes in two parts: a house and a mystery. Years before, a family disappeared at Wraxford Hall, a decaying mansion in the English countryside with a sinister reputation. Now the Hall belongs to Constance, and she must descend into the darkness at the heart of the Wraxford mystery to find the truth—even at the cost of her life. Constance Langton grows up in a household marked by death, her father distant, her mother in perpetual mourning for Constance’s sister, the child she lost. Desperate to coax her mother back to health, Constance takes her to a séance; perhaps she will find comfort from beyond the grave. But the meeting has tragic consequences. Constance is left alone, her only legacy a mysterious bequest that will blight her life. So begins this brilliant and gripping novel, a dark mystery set in late-Victorian England. It is a world of apparitions, of disappearances and unnatural phenomena, of betrayal and blackmail and black-hearted villains—and of murder. Constance’s bequest comes in two parts: a house and a mystery. Years before, a family disappeared at Wraxford Hall, a decaying mansion in the English countryside with a sinister reputation. Now the Hall belongs to Constance, and she must descend into the darkness at the heart of the Wraxford mystery to find the truth—even at the cost of her life.